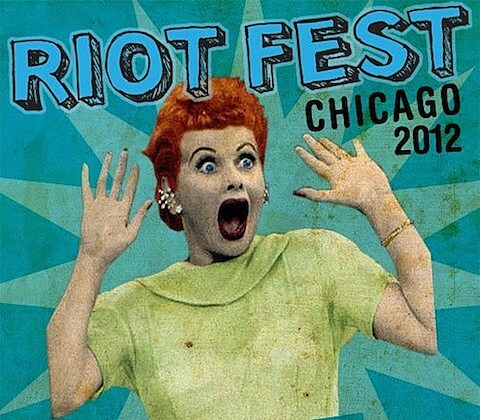 Riot Fest Chicago 2012 is set to take place in Humboldt Park from September 14-16. They’ve just announced their initial lineup of Rise Against, Iggy & the Stooges, The Offspring, Elvis Costello, A Day To Remember, Coheed and Cambria, Gogol Bordello, Descendents, Dropkick Murphys, NOFX, The Jesus and Mary Chain, The Gaslight Anthem, Alkaline Trio, Slapstick, Awolnation, The Promise Ring, Chiodos, GWAR, August Burns Red, Frank Turner, Built To Spill, Reverend Horton Heat, Fishbone, No Bunny, A Wilhelm Scream, Screaming Females, Teenage Bottlerocket, Off With Their Heads, Sister Crayon, Deals Gone Bad, White Mystery, Larry and His Flask, The Story So Far, and Japanther. Two and three-day passes are on sale NOW.